Si tu tienes algunos proguntos, por favor pregunta. Please ask us for price again. These are general prices for European Voltage Solutions. _MAK Plus Power Systeös MSR three phase full automatic voltage stabilizeris servo drive structure ,micro controller controlled heavy duty devices which regulates mains voltage for critical loads. High power solution voltage stabilizer designed for all factories and production facilities. » MAKPlus Power Systems MSR Hi Series 3 phase voltage stabiliser regulates mains voltage and brings many advantages. 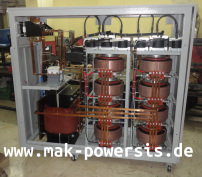 MAK Plus Power Systems MSR Single Phase Automatic Voltage stabilizer produced for american voltage solution and voltage stabilizers are servo drive structure ,micro controller controlled heavy duty devices which regulates mains voltage for critical loads. All the regulators with microprocessors have 2 year warranty against production and technical defects. All the materials used in the stabilizers produced under EMC and LVD directions of Europe. __MAK Plus Power Systems MSR American single phase automatic voltage stabilizer is servo drive structure ,micro controller controlled heavy duty devices which regulates mains voltage for critical loads. * All the regulators with microprocessors have 2 year warranty against production and technical defects. All the materials used in the stabilizers has certificates. 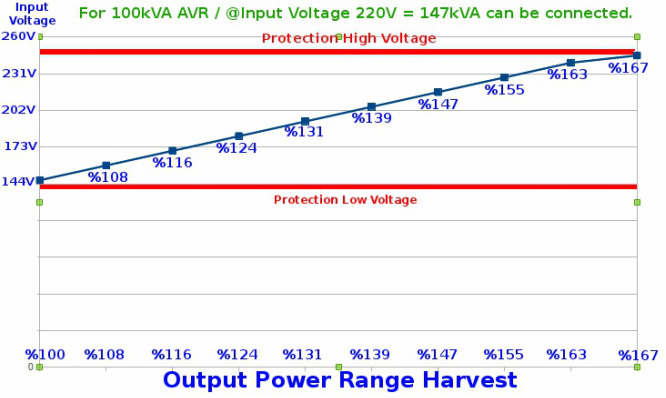 Note: For more power range about our servo controlled voltage stabilizers please do not hesitate to ask us. We have also references till 3000kVA. stabilizer as well.